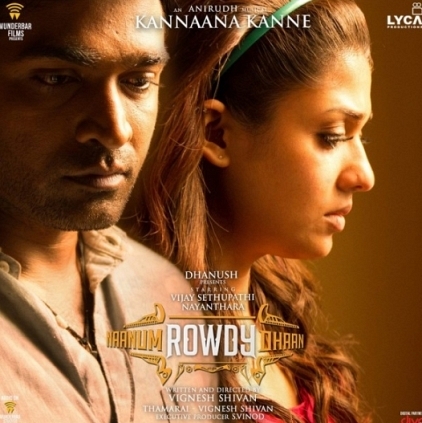 We had earlier in the day reported that Naanum Rowdy Dhaan directed by Vignesh Shivan is gearing up for a release on the 21st of October. Latest we have on this is that the film has been certified as U/A by the Censor Board. Dhanush’s Wunderbar Films is producing this venture and the Aadukalam hero informs this through his microblogger, “NanumRowdyDhaan censor certified with UA & gearing to hit screens on 21st Oct globally”. The film features Vijay Sethupathi, Nayanthara, Anand Raj, RJ Balaji and others. Music of Anirudh is already a chartbuster and the teaser that was released recently had been appreciated by fans. With the Censor certification also through, the team is likely to start their promotions actively.